At $10, the tried-and-true Maybelline Blushed Nudes palette, a collection of 12 matte and shimmer shades in shades that range from silver to copper to berry. At $7, we have the Duping-Is-My-Life Makeup Revolution Iconic 3 Redemption palette, a collection of 12 rosy neutrals that range from matte to full-on glitter! At $10, the Cover Girl TruNaked Roses palette, a collection of 8 lavender tones that look like springtime in a palette. And finally, the newest addition to the Rose Gold Universe, coming in yet again at exactly $10, the Elf Rose Gold palette, a collection of 10 shades that offer a cool take on the rose gold trend. This might be my perfect eyeshadow. It is equal parts rose and gold–this is key for me. Yet I constantly forget about this shadow, because it is not part of a palette. (That’s not the fault of the shadow; I just gravitate toward palettes when I’m getting ready in the morning.) So when I’m looking for a rose gold palette, I’m looking for a palette that contains this basic shade and supplements it with others to create a complete look. 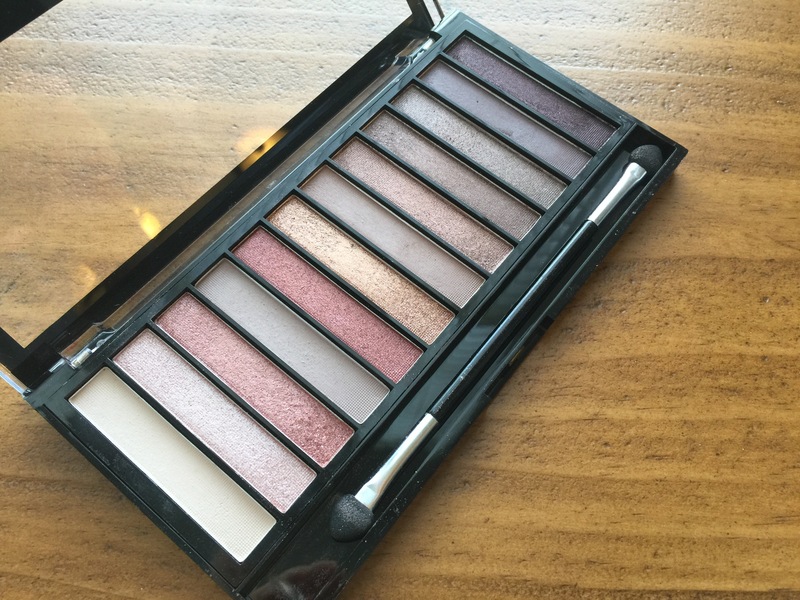 First up: Maybelline’s Blushed Nudes palette. The Maybelline Blushed Nudes palette is the one I’ve owned the longest and have the most experience with. For a time, this was one of the only eyeshadow palettes I owned, and I used it constantly. One of the reasons I love it is that it offers a range of shades, including cream, silver, copper, berry, and charcoal. 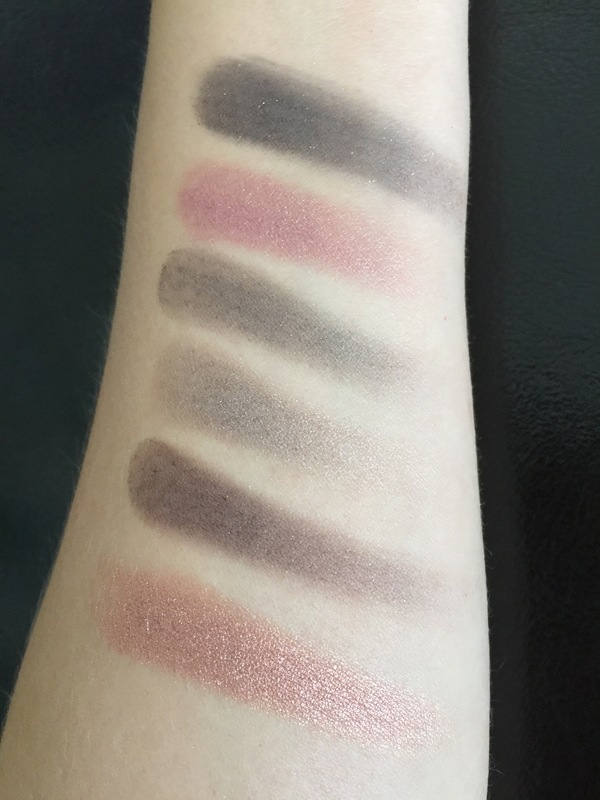 And it has a beautiful true rose gold (first shade on the bottom row, swatched above). 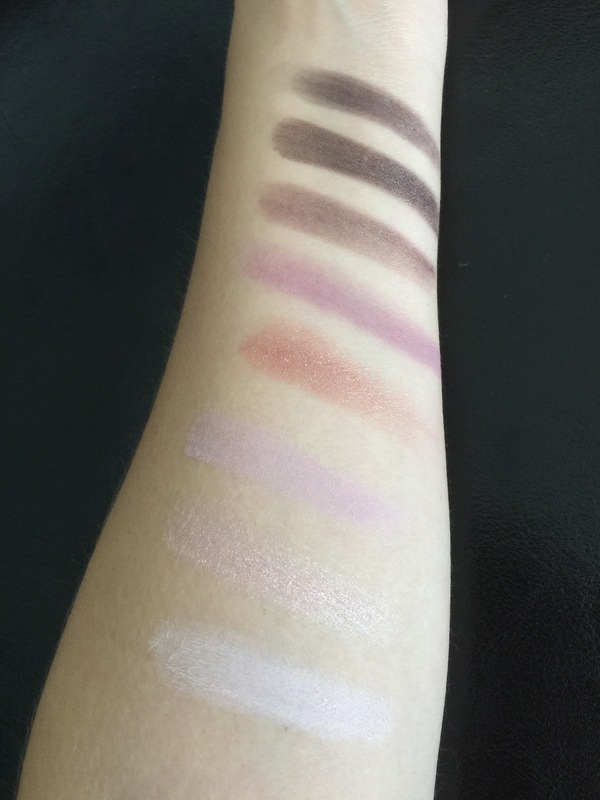 This is a great palette for beginners looking to branch out in their collection. The instructions on the back of the palette are fantastic–they give you ideas for using the shadows in combinations of two, three, or four, so it is really foolproof if you’re not used to navigating a larger palette.The “quad” in the center–the cream, pale pink, silver, and charcoal–is one of my favorite parts of this palette, and what distinguishes it from the other palettes in this competition. You just don’t typically see a silver in a rose-toned palette. Something about the shadows remind me of my days in ballet–they just create a look a ballerina might wear: soft, delicate, but strong and confident. Or maybe I just love a pink and gray combo in any context. Of course, you certainly don’t have to follow the instructions, but I have tried many of the looks they suggest and all have worked well. The color payoff is generally strong, especially for the shimmer shades, and the mattes are surprisingly creamy for a drugstore palette. With a primer, the shadows last all day and remain quite true to color. 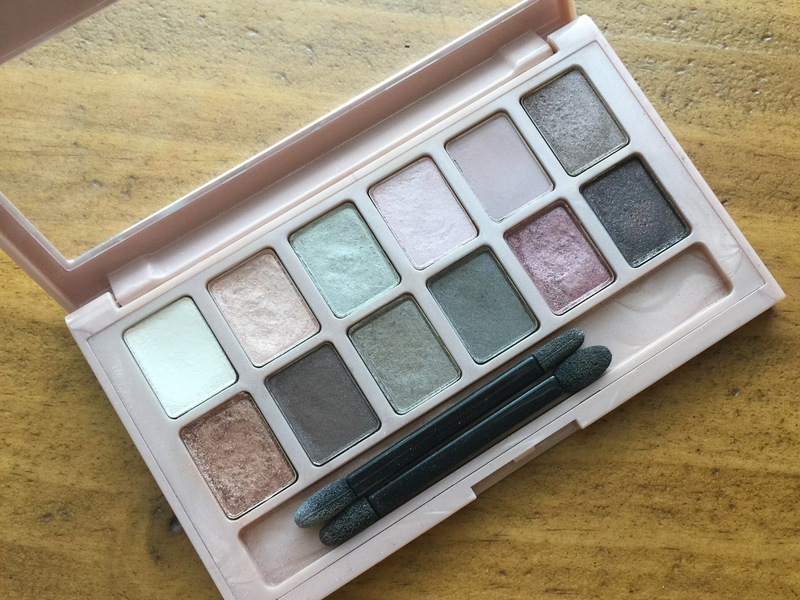 I bought this palette over the summer to create some natural looks that were just a bit more interesting than my typical neutral shades. I can’t resist a berry shimmer shadow, and this palette has several in varying degrees of intensity. It also has the largest range of rosy-toned taupes, which I just love. What is funny about this palette, now that I look at it more critically, is that despite being a rose gold palette, it does not actually contain a shade I would call a true “rose gold.” It has berry, and it has gold, but not rose gold. Obviously you can mix shadows together, but if you’re looking for that one perfect mid-toned rose gold shade that is equal parts rose and gold, this palette, despite its size, does not have it. The closest thing it has are two muted warm berry shades, but they are both definitely more pink than gold. One thing to be aware of with the Makeup Revolution Iconic 3: Some of the shimmer shades are very shimmery, verging on glittery. 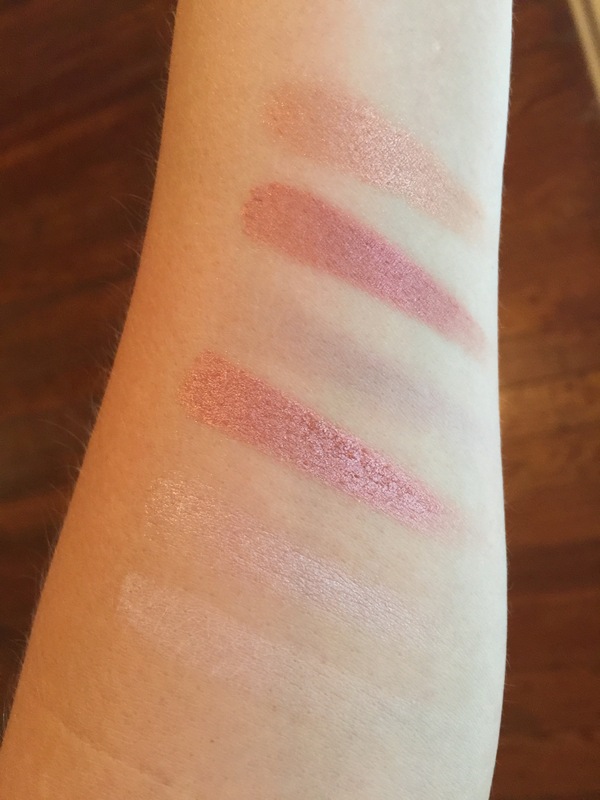 The berry and gold shades are the most glittery, as you can see in the top swatch photo, and this is even more apparent on your eyelids than in the swatches. For this reason, while they are great colors, they may not be as appropriate for the workplace as the shades in some of the other palettes. When you’re choosing a palette, keep in mind what you plan to use it for: Is this supposed to be an everyday palette, or do you want it for special occasions or going out? This will absolutely influence your decision, as this one may not work as a day-to-day basic rose gold palette. That aside, I do really like this palette. The pigmentation is pretty good and very buildable, though I will say the shimmers far outperform the mattes. The shadows do not kick up too much powder when you dip a brush into them. (It is definitely less powdery than the Cover Girl palette.) They apply smoothly on the eye and blend easily. Despite some very shimmery/glittery shades, there is surprisingly not much fallout. You can create a variety of looks with this palette, from very berry to very neutral to very gold, and anything in between. For this reason, it is incredibly versatile, and would work well for travel. Now on to the cooler-toned rose gold palettes in today’s battle. I have already reviewed the Elf palette here, so I will not go into great detail on it in this post. In terms of dubbing it a “rose gold” palette, however, I would offer a word of warning. I typically expect anything labeled rose gold to be somewhat warm-toned, and this palette certainly leans toward cooler shades. That is by no means a negative; it just surprised me, as it wasn’t what I expected. If you’re a lover of rosy shades but find that most palettes are too warm for you, order this palette now! You will probably love it. But if you’re expecting a warm-toned palette, you might be disappointed. The shades are really beautiful, nicely pigmented, and consistent, but most looks that you can create would veer cool. The Elf palette does, however, have that true rose gold shade that I’m looking for–a nice neutral-toned rose gold shimmer, great for daytime and work. 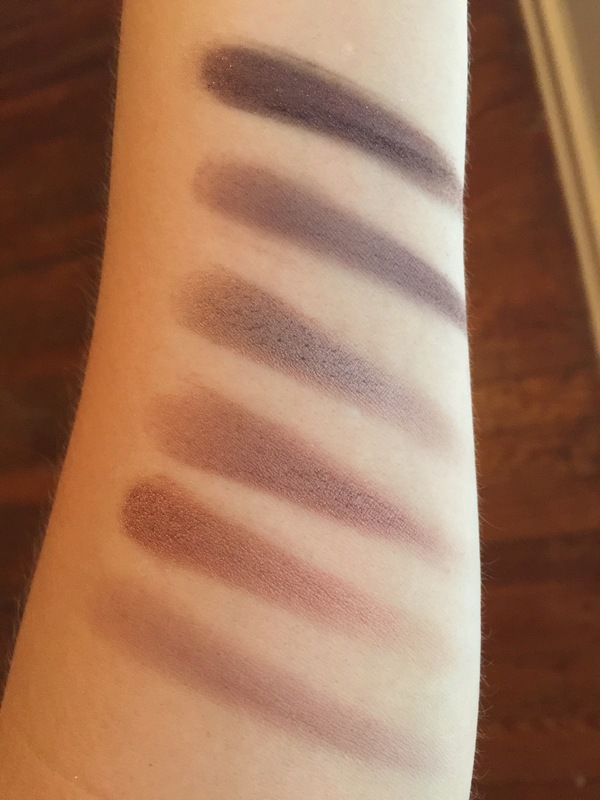 The Cover Girl palette is the smallest of the four, containing only 8 shadows instead of 10 to 12. This does not automatically lower it in the rankings, but the shade selection of the 8 does. Unlike its competitors, the Cover Girl Roses may require another palette or a few eyeshadow singles to make multiple complete eye looks that are workable for many occasions. This is because it lacks a neutral taupe transition or crease shade. It does have a few light and medium matte shades, but they are distinctly lavender. If they were a taupe with lavender or plum undertones, that would be fine. Those are some of my favorite shades, and you can find them in the Maybelline, Makeup Revolution, and Elf palettes. For me, this keeps it from being workable on a regular basis as a complete palette, and certainly not one I’d travel with. Sure, I don’t mind a pale lavender eye look for one day, or a smoky purple eye for an evening event, but I wouldn’t want that to be my only option. The other problem I have with the Cover Girl Roses palette is the glitter fallout from what I would consider the anchor eyeshadow, the center, true rose gold shade. I can handle an eyeshadow that kicks up a lot of powder, but the problem I have with the shimmery eyeshadows in the Roses palette is that the glitter doesn’t transfer to the eye with the same concentration as it appears in the palette. 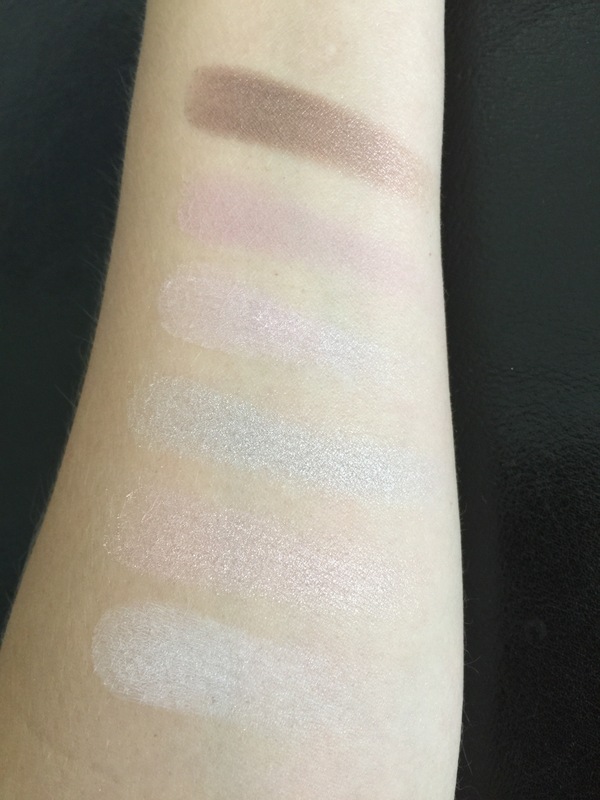 (As you can see in the swatch photo above, it is the weakest shade in the palette.) The color sort of transfers to your lid, but the glitter ends up all over your face. This is because the shadow contains a lot of micro-glitter, rather than being an overall shimmery or foiled shadow, so the shine comes from the glitter in the shadow, rather than the shadow itself. If you do want more shine, you can easily fix this by dipping your brush into the shadow then spraying it with a setting spray, or you could bring in a glitter glue, but that is an extra step that the other palettes do not require. Also, the brush you use matters. Though I used synthetic brushes each time I applied the shadows, some seemed to work better than others, so you may need to play around to find the right combination. Once the shadow is on your lid, it does look nice, but you have to ask yourself if you’re willing to put forth the extra effort to make it work. For me, the shimmer shadows in the other palettes are more “true-to-pan” in that the shadows are more shimmery than glittery. 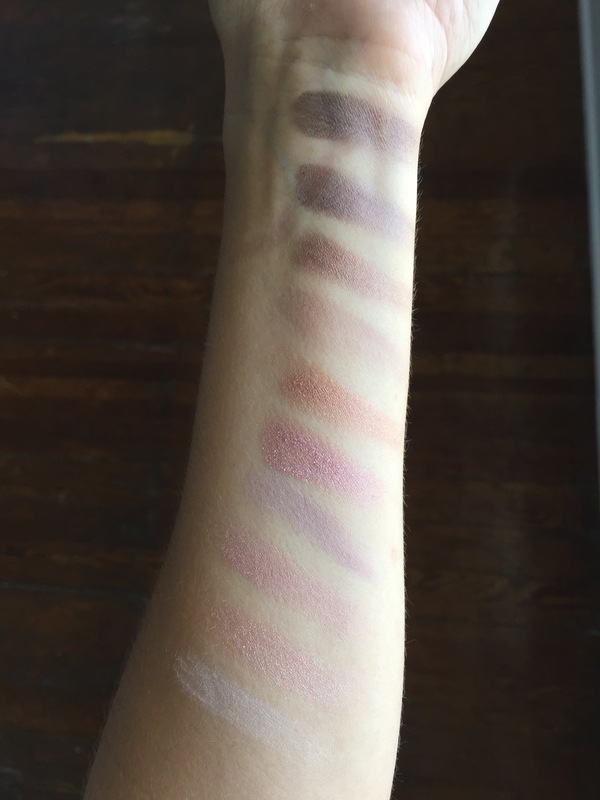 The Cover Girl Roses palette is the weakest of the four due to the two key strikes against it: the lack of a truly neutral transition shade and the glitter fallout. This is not to say that it is a bad palette, or that if you own it and love it you’re somehow wrong. I really enjoy this palette, and the colors are beautiful. It simply doesn’t perform as well as the other palettes based on the terms I’ve set out for this competition. But trust me, I have plenty of palettes that don’t meet these criteria that I still love and use all the time. It’s all a matter of what you want out of a palette. And most people want a palette that can create multiple full looks with minimal effort. 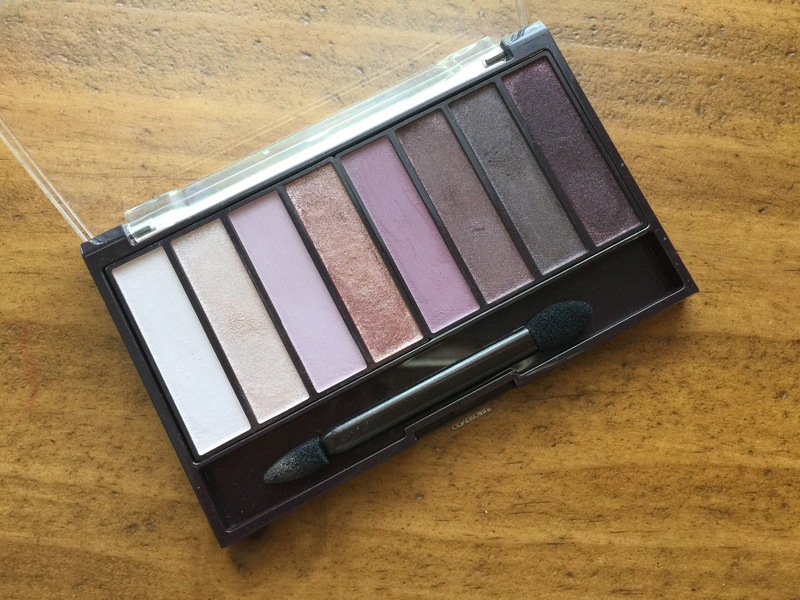 I will say that if you love the Roses palette and don’t mind bringing in other shades, I’d actually recommend the Cover Girl TruNaked Nudes palette to fill in the gaps. This is the only palette that is always in my makeup bag. 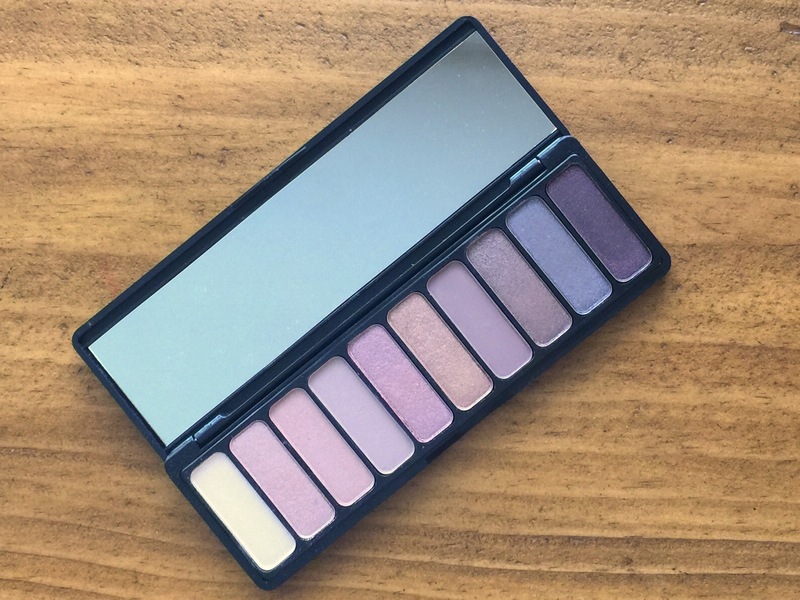 It has the perfect range of light, medium, and dark cream and taupe shades in shimmer and matte finishes to fill in gaps in any palette you might be using. 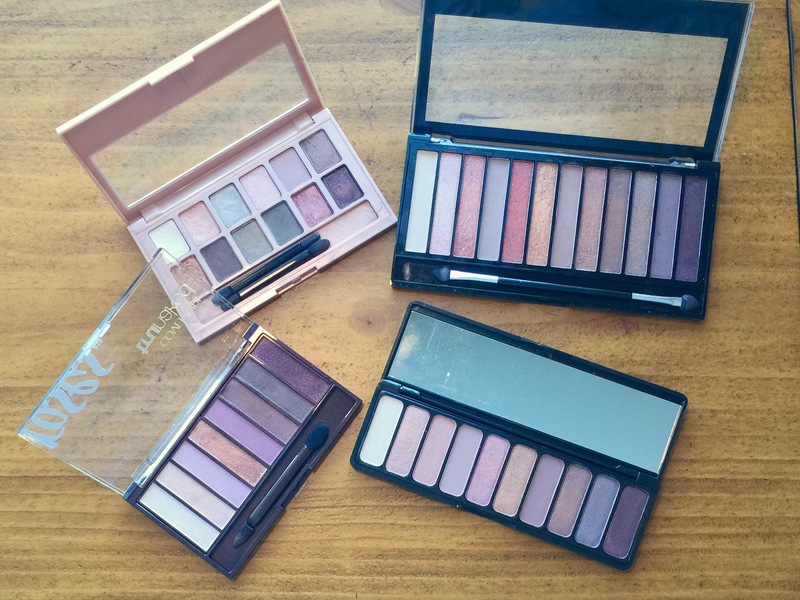 I love all of these palettes and they will all remain in my everyday rotation. This may sounds like I’m hedging my bets, like it’s my way of saying they’re all winners. But I think of it this way (I’ll use an Olympics metaphor since the summer games recently ended): the athlete who wins the bronze in any sport is not bad; he/she is the third best runner, swimmer, or gymnast in the world. In other words, these palettes are all good. They simply offer different things, and while they are marketed and discussed in similar ways, they are quite distinct from one another. I hope these reviews help you make the best choice for your needs. Final, final word (with a bit of fudging on the rules): Ultimately, if you own none of these palettes and want to get as close to the Naked 3 as possible, I’d say buy the Makeup Revolution and the Elf–together they make a Naked 3 and then some, and it’s only $17 for the two, rather than $54 for the Naked 3. I went back and forth about which to place at spots 1 and 2, and in many ways they’re tied in my mind. They’re the most different from one another, and the best-performing palettes in the bunch. And together they have enough neutrals that you could use them for looks that are not rose-toned at all, making them the most versatile. If you’re like me and you go back and forth between warm and cool-toned eyeshadow looks, they are the perfect combination. I’ve been wanting to try a palette. I’m a beginner so this was a great post to read. Thanks for the review! I’m so glad it was helpful! Let me know if you decide to try one! I want to do some tutorials soon and these palettes are on my list. This is such a needed article!! I’m obsessed with Rose Gold (hello it’s my blog title lol!) and Ive been hunting for amazing rose gold eyeshadows. The urban decay naked 3 is just WAY out of my league as far as budgets concerned. I think I’ll go with the elf palette as their shadows never disappoint me. And the Amber rush eyeshadow is stunning! 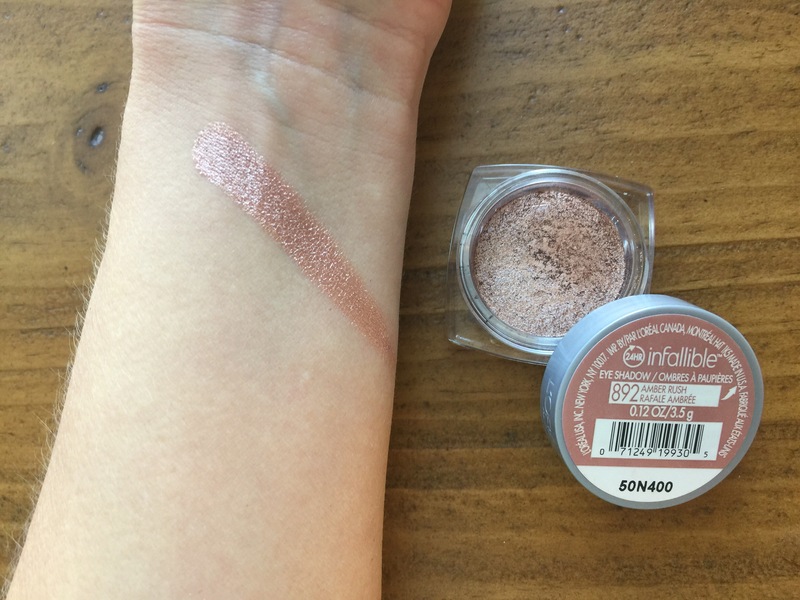 Huge fan of the loreal infallible eyeshadows! Thank you so much–I’m glad you like it! I am obsessed with everything rose gold too, and the Elf really is so good! I love it more and more each time I use it!